All 100 mile runners who finish within the 34 hour time limit will receive one of these handsome belt buckles. The picture on the buckle not only represents the large abundance of grazing Ibex which are so prevalent in the area but more importantly represent what it takes to get through a tough 100 mile trail race – a group, support, volunteers, fellow runners… your herd of Ibex. 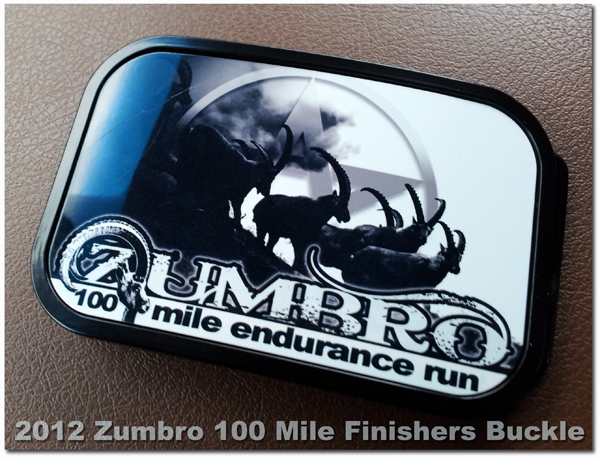 All 100 mile runners who finish within the 34 hour time limit will receive one of these handsome belt buckles.